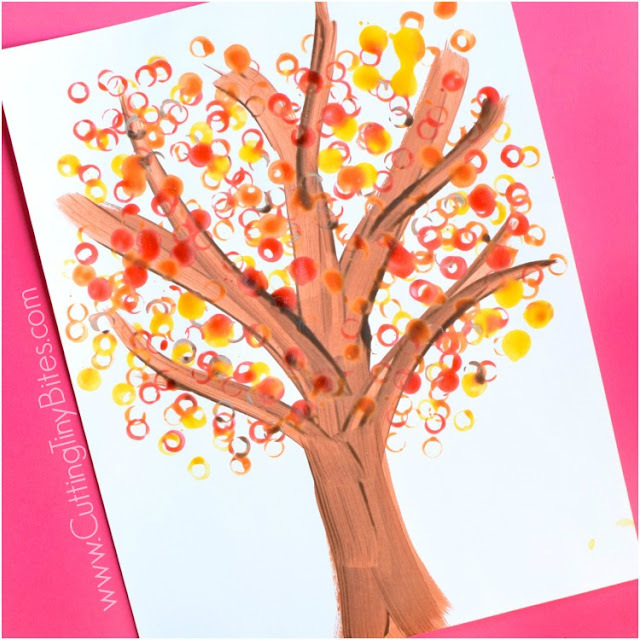 We've gone crazy for fall trees! The leaves where we live have started to turn, and my daughters love looking at the beautiful colors of the trees in our back yard. 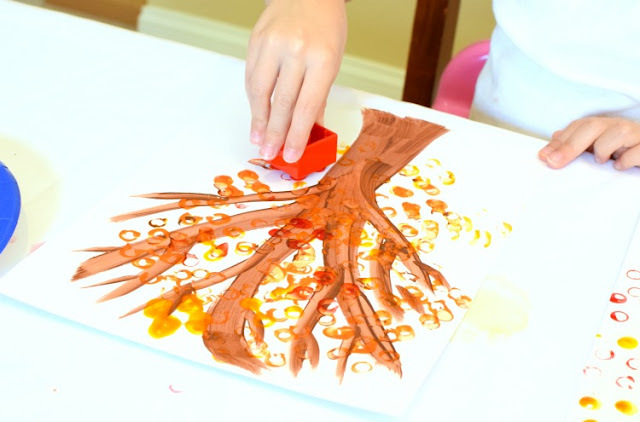 This LEGO Stamped Fall Tree Craft is a great way to celebrate the season. 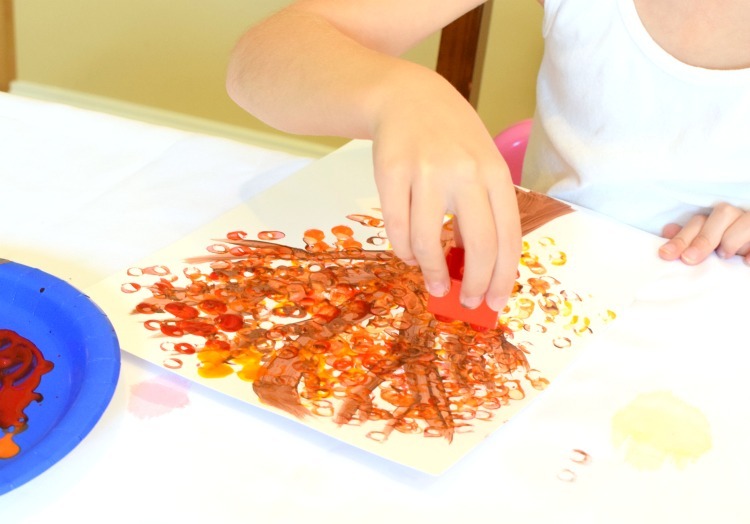 You'll use LEGO or DUPLO bricks to stamp leaves in red, orange, yellow, and brown. My girls thought it was so funny when I grabbed their DUPLO bricks for art time! 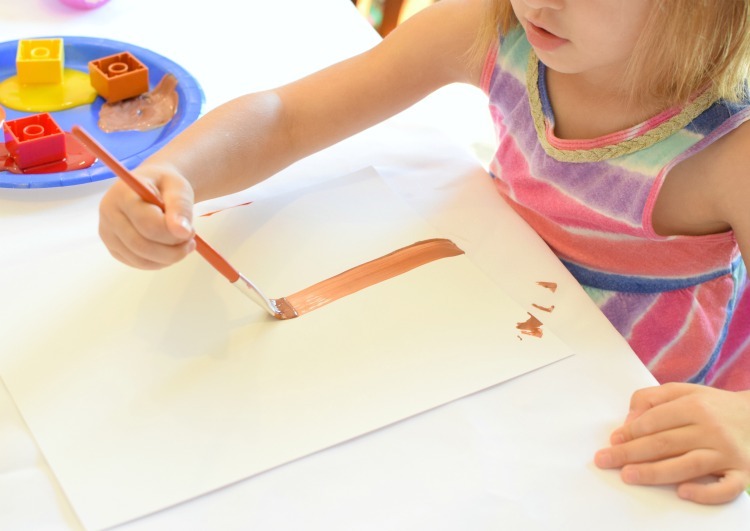 This craft is perfect for preschoolers or elementary students, and will help develop fine motor skills. With brown paint, make a tree trunk and branches. You can find a printable template online if you like, but give it a try yourself! Your children can paint their own trunks or you can do it for them. In an unusual turn of events, my four-year-old daughter Maggie wanted to do her own, and my six-year-old, Lena, wanted me to do hers for her. Time for the fun part! 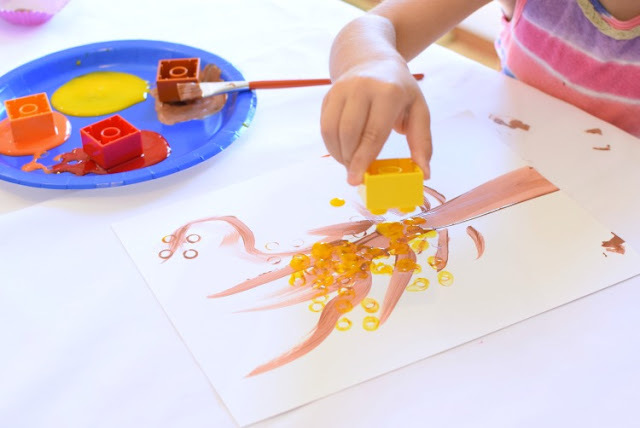 Prepare a plate with puddles of red, orange, yellow, and brown paint. 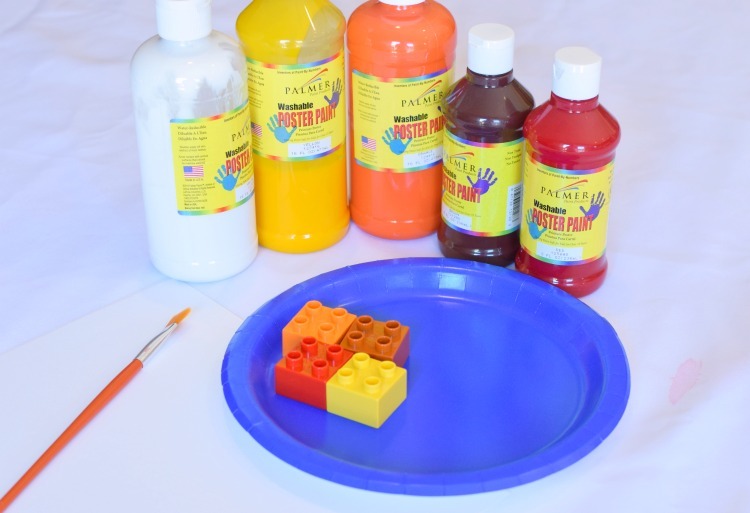 Get some DUPLO or LEGO bricks for stamping. 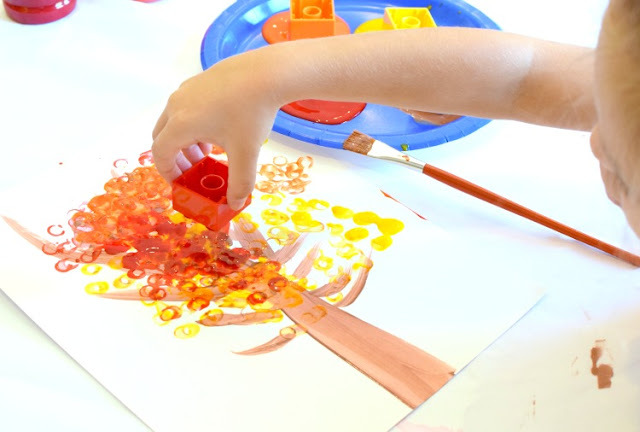 Show your child how to dip the bricks in the paint and stamp beautiful fall leaves on and around the branches. The colors will mix a little bit. No problem! Keep stamping until your child is happy with the result! Set aside to dry. 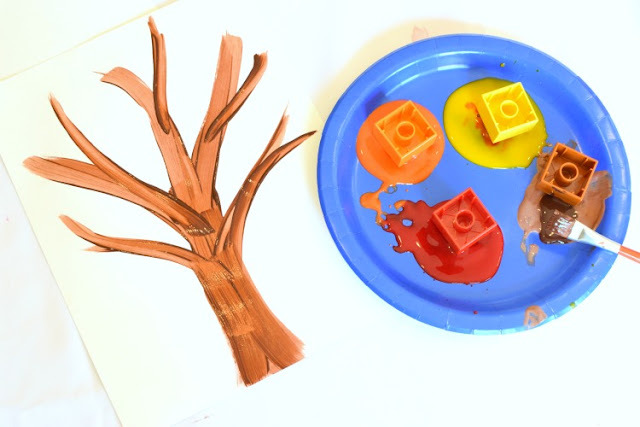 LEGO Stamped Fall Tree Craft for Kids. 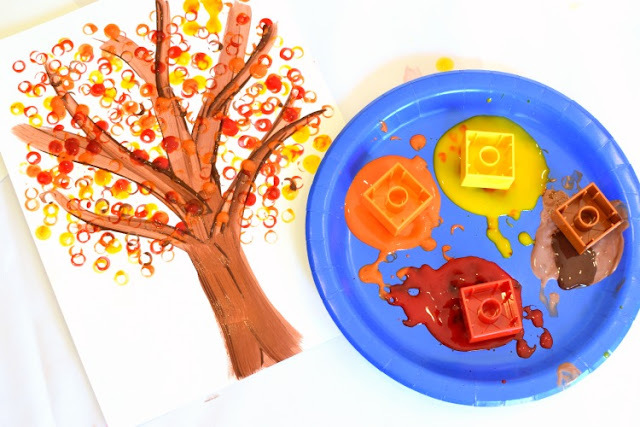 Use LEGO or DUPLO bricks to paint leaves in beautiful fall colors! Fun autumn printmaking activity for preschool, kindergarten, or elementary.